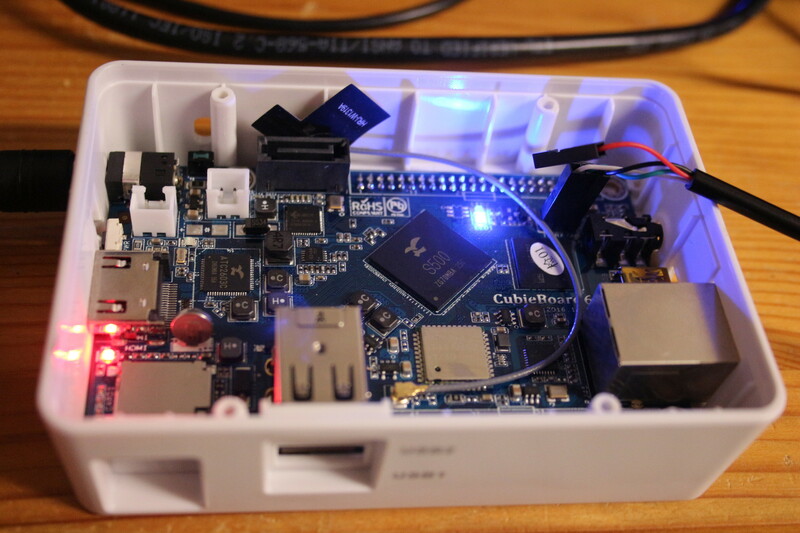 The Cubietech CubieBoard6 is a single-board computer. U-Boot v2017.07 does not contain support for this board or SoC. You may need to suppress -Werror=date-time in Makefile to avoid build failure. You may want to tweak board/actions/owl/owl_boot_fdt.c to not add stuff to $bootargs. The 4.13 kernel does not yet contain a .dts file - an owl-s500-cubieboard6.dts is in the works. This page was last modified on 12 November 2017, at 22:03.